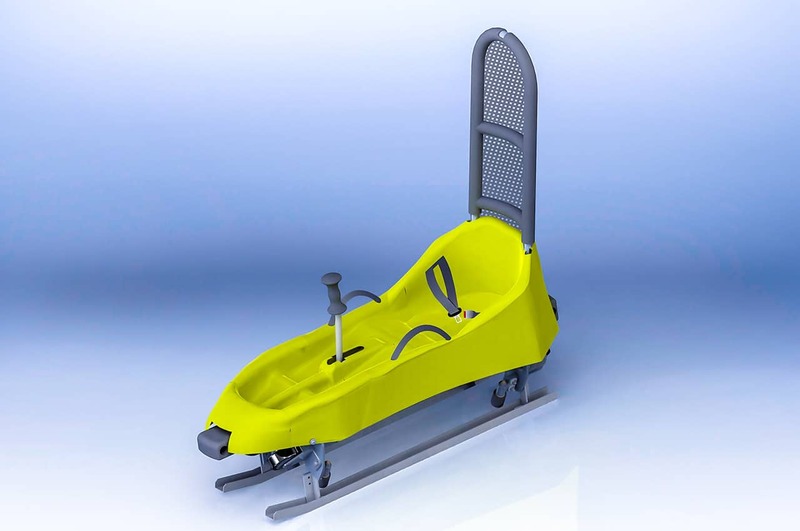 The toboggans of the Mountain Coaster are much lighter than any other systems available on the market, at a dead weight of about 40 kg. All toboggans are force-guided like roller coasters and cannot jump out of their track. 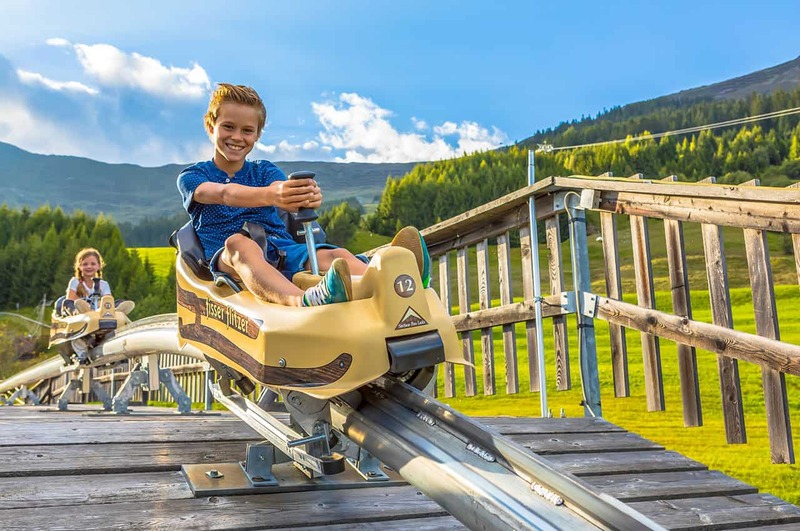 The customisable seat unit of the Mountain Coaster with space for an adult and a child up to 8 years is installed on a high-quality aluminium chassis. The rider and child have separate seat belts for safety. Backrests and rain protection are optionally available to improve riding comfort. Shock-absorbing rubber buffers at the front and back will dampen some of the energy upon impact. 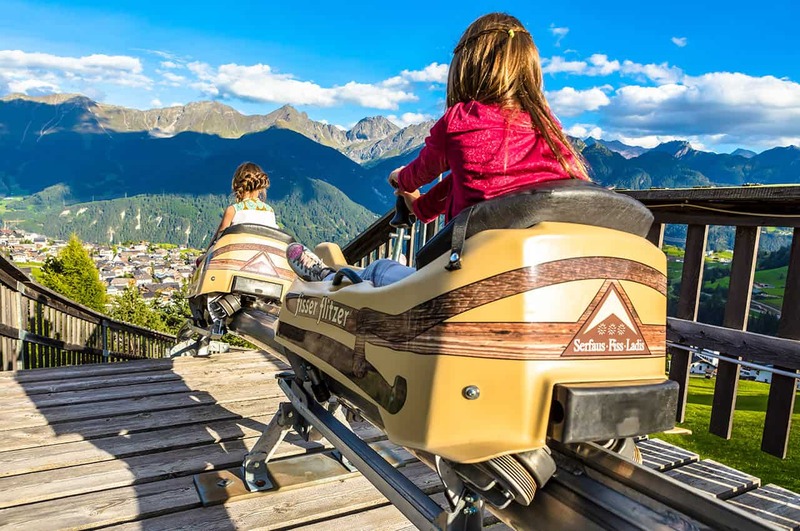 Tip: The particularly low weight of the Mountain Coaster toboggans also permits cost-efficient mountain transport with existing infrastructure.